Posted by James Hammerton @ 10:06 pm on 29 March, 2006. After several rounds of “ping pong”, as the Identity Cards Bill was sent back and forth between the House of Commons and the House of Lords, the British government has finally got its way after Tory peers in the Lords accepted a “compromise” allowing people to opt out of getting a card (until 2010) when they renew or apply for their passports (from 2008 onwards). However, people applying for or renewing passports will still have to register on the National Identity Register and thus the only difference made is in the timing over when they are actually issued with a card. This “compromise” is thus worthless, as it leaves the governments planned database, which will record people’s activities in considerable detail, unscathed. Yet again the Tory party has shown itself to be unreliable at defending civil liberties in Britain. Posted by James Hammerton @ 10:55 pm on 16 March, 2006. In my earlier coverage of the Abolition of Parliament Legislative and Regulatory Reform(LRR) Bill, I think I have underestimated how much power it gives to government ministers. I now think this bill actually gives more power to government ministers, in practical terms, than the Civil Contingencies Act (CCA). The CCA explicitly gives Ministers both the powers of legislating via an Act of Parliament and the powers of the Royal Prerogative. However those powers are supposed to be invoked only in an emergency, are time limited to 7 days, albeit renewable, and have various other constraints such as not modifying the CCA itself or the Human Rights Act. There are protections for the courts and criminal offences created under CCA regulations can carry only 3 months imprisonment. The LRR is designed ostensibly to be used in the normal course of governing, where the Civil Contingencies Act (CCA) is supposed to be used only in emergencies. The LRR can amend any legislation, where the CCA cannot be used to alter the CCA itself or the Human Rights Act. The LRR can be used to delegate legislative power, without apparent limit, to anybody the specified in an appropriate order. The LRR can be used to alter or abolish any rule of law. The key matter I hadn’t considered fully before is this. The orders under the LRR can be used to confer legislative power on Ministers, such that they would then be able to legislate without any reference to Parliament at all. Given the government’s ability to control Parliamentary procedure (e.g. to ensure the negative resolution procedure is used), it would be possible for such a transfer of power in the favour of Ministers to occur without any vote in Parliament occurring! This transfer could be achieved by sneaking the measure into a suitably large and convoluted order that implements a policy strongly backed by the governing party, and hoping it will either not be noticed due to the lack of time for scrutinising the order (this lack of time being arranged by the government) or if it is noticed it will be allowed through because the governing party’s MPs and Peers do not wish to abandon a key policy. Remember there is no possibility for making amendments that would allow MPs or Peers to selectively modify problematic areas of the parliamentary orders. At best a request to revise the order can be made to the government which the government can consider and reject, or for that matter implement in any way it pleases. The Ministers will be in control at every step unless MPs or Peers vote the order down in its entirety. I thus fear that if this bill passes we will not only see increasing amounts of legislation passed via parliamentary order with little or no scrutiny, but we will see Ministers being given increasing powers to legislate directly without reference to Parliament. The bill really should be entitled the Abolition of Parliament bill. The Abolition of Parliamentary Scrutiny Bill moniker I’ve been using in some posts is thus too mild a description of the threat this bill makes to Parliament’s role. Yet more diminution of Parliament’s role planned. Posted by James Hammerton @ 8:47 pm on 12 March, 2006. The right of MPs to table questions is to be curbed for the first time in the history of parliament, according to a confidential document being circulated to ministers by Geoff Hoon, the leader of the house. He proposes in the consultation document that MPs be limited to 10 questions a day after a huge rise in queries, particularly since the last general election. Part of the blame is being put on MPs’ researchers drawing up a lot of questions. Yet again we see the government trying to limit the ability of Parliament to hold it accountable. Clearly they do not like their policies and actions being scrutinised. Patriot Act renewed in the US. Posted by James Hammerton @ 8:39 pm on . The US Patriot Act, passed after 9/11 with various temporary measures has now been renewed, albeit with a new sunset clause that will make it expire after 4 years. Some extra safeguards have been put into the bill, though it is unclear how much difference they will make. Posted by James Hammerton @ 1:18 am on 11 March, 2006. 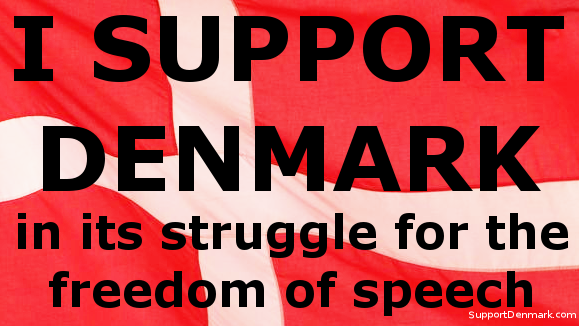 Over at my personal blog, I’ve compiled a roundup of freedom of speech related stories, following on from my coverage of the Danish cartoons affair. A number of articles about the growth of the surveillance of the general public have been appearing. This article for example reports that Houston’s police chief (that’s Houston Texas, not Houston, Scotland) wants surveillance cameras put not only on streets but inside people’s homes. Meanwhile the BBC recently ran a story about companies offering services and devices for tracking the location of other people’s mobile phones — and thus those people themselves much of the time. USA Today reports that employers in the US may soon be required to check employees social security numbers or immigration work permits against a central government database in moves that many believe will lead to a national identity card in the US. All 11 million children in England will be registered on a giant electronic database by 2008 under plans to improve child protection announced by the government today. Doctors, social workers and other professionals will be able to consult the index when they have concerns about a child’s wellbeing and could flag up that they have information to share. The system is designed to ensure better information sharing about vulnerable children so help can be provided sooner, avoiding further tragedies like the murder of Victoria Climbié. It will hold basic identifying details such as name, birth date, address, GP and school for all under 18s. This seems to be yet another example of the British government’s obsession with getting as much information about people stored in central databases as possible. The BBC recently reported that the House of Lords has ruled that the stopping and searching of demonstrators outside an arms fair in London, using powers from the Terrorism Act 2000, was valid. Note that police officers do not need to have any grounds for suspecting those they search of any wrong doing to use these powers. The House of Lord’s amendments to the Identity Cards Bill were rejected by the House of Commons, and when the Bill returned to the House of Lords they reinstated the amendment that stops the government making it compulsory to register and get a card if you apply for a new passport. The bill will now ping pong between the two Houses until one backs down or the government invokes the Parliament Act to force the issue (but this delays the bill until the next Parliamentary session). Spy.org.uk note however that the rejection of all their other amendments has now been accepted by the Lords. The Abolition of Parliamentary Scrutiny Legislative and Regulatory Reform Bill was recently debated in the Commons and Spy.org.uk noted that all opposition amendments to the bill were either withdrawn or lost, and thus the power it gives to Ministers to sideline parliament remains untouched. The Register reports that the Police and Justice Bill, in provisions ostensibly aimed at hackers, may actually criminalise many tools used to try and counter hacking or perform security checks of computer systems. Posted by James Hammerton @ 12:35 am on . This site’s aim is “…to encourage study of the ideal of a society of free and responsible individuals”. They are currently advertising the online publication of the complete works of John Stuart Mill. The purpose of the Online Library of Liberty is to take advantage of the opportunities provided by the internet in the pursuit of Liberty Fund’s educational activities. Liberty Fund’s Online Library of Liberty makes available at no charge to the public hundreds of full-length classic texts which have contributed to our understanding of the nature of individual liberty, limited and constitutional government, and the free market. The intended audience for this unique collection are scholars, faculty, students, and other members of the public. Access to the collection is completely open and requires no logging on, password, or payment of any kind. Posted by James Hammerton @ 8:43 pm on 9 March, 2006. What does this argument, used often by the minister during last week’s debate, amount to? An admission that we are now passing so many new laws, so quickly, and so many of them are sloppy, that we don’t have time to debate them properly or reform them when they go wrong. Parliament is drowning in a sea of legislation. Instead of calling a halt to this, the Government is seeking a way of moving ever faster, adding yet more laws, this time with even less debate. The Guardian has a leader column and its sister Sunday paper, the Observer, has an article by Henry Porter discussing the bill. The leader article suggests that MPs should demand a veto on regulations passed under the bill and that such legislation should be restricted to “non-controversial” measures. Unfortunately this proposal misses a key point — without adequate scrutiny one might not realise that a “controversial” measure is contained in a statutory instrument, plus the government could argue that MPs already have a veto — they can vote against a parliamentary order. The Guardian’s proposals will do nothing to address the fundamental problem which is the lack of scrutiny of such orders. Henry Porter’s article warns that Britain is heading towards a totalitarian state, and has some scathing comments about the government’s responses to the concerns raised by MPs during the debates on the bill. The Sunday Herald has an article by Alistair Carmichael, where he points out that the Scottish Parliament could be abolished under the bill, and noting that the bill is in line with the government’s tendency to marginalise Parliamentary debate whether at Westminster or in the devolved assemblies. As if the general duplicity and untrustworthiness of political charlatans is not enough to put voters off, we now have a very low-key Bill going through Parliament that is guaranteed to devalue the effectiveness of our parliaments and therefore the value in voting at all. Posted by James Hammerton @ 8:31 pm on 5 March, 2006. In my previous two articles, I provided an overview of the Abolition of Parliamentary Scrutiny Legislative and Regulatory Reform Bill and considered the scope of the Parliamentary orders which can be issued under the bill. I now consider the procedure for passing these orders and the implications they have for the role of Parliament and its ability to scrutinise legislation. In order to understand the likely impact of the bill it is worth considering how Acts of Parliament are currently created. As things are now, once the government publishes a new Bill, the odds are stacked in its favour. The government dominates the House of Commons, and thus dominates the committees and can get its way, most of the time, on procedural matters. Even getting opposing amendments tabled and voted upon requires a head of steam to be built up, and getting them properly debated, let alone passed, usually requires the governing party to be split and/or to have a small majority. The government also pushes through so much legislation each year it is impossible for an MP to keep up with it all. Thus MPs will tend to specialise on a few bills (if they care), and otherwise act as lobby fodder — they won’t make decisions independent of their party whips unless there’s an extremely controversial measure that splits one or more of the parties or it an area they care about. The end result is that much legislation ends up guillotined with amendments falling by the wayside, and much of the original bill having been undebated and possibly unread by most MPs. Then in the House of Lords, the government has less of an advantage — even though Lords are appointed, they are appointed for life and can thus be independent. Plus currently the government do not have a majority of peers. However the Lords can be overruled by the Parliament Act and will tend not to oppose manifesto commitments outright. So whilst they sometimes manage to propose some modest improvements to a bill, and sometimes insist on those, the government can override them if determined or will accept improvements, knowing it mostly got its way. To stop or even just merely modify a bill requires a head of steam to be built up, which requires both time and detailed scrutiny of the bill (to deal with the obfuscation and lies governments will come out with and to devise effective amendments and ensure they get voted on). I.e. the system is already badly flawed and could do with more power returning to Parliament at the expense of the executive. Nevertheless it does take several months for legislation to pass through this process, it does get scrutinised by Parliamentary committees and debated several times by both MPs and peers and the government is forced to make it case repeatedly. The process, despite its flaws, does enable improvement of government legislation and occasional rejection of legislation proposed by the government. However, with this bill, the government are proposing a general power to legislate via statutory instrument (they’ve already got such powers in specific areas due to earlier legislation). With a statutory instrument, each House gets only 1 vote (and possibly not even that if the negative resolution procedure is used), there is no opportunity to put forward amendments and the time for considering the draft order is strictly limited, in this case to 40 days or 60 days. This means there will be precious little scrutiny and very little chance to merely improve legislation let alone to oppose it outright. Even if the super-affirmative procedure is used, amendments aren’t tabled — the government can simply put down a revised order and thus decides what representations shall be listened to and how they should be catered for. At best, the government decides whether to revise an order and what revisions to make, not Parliament, and then only if the super-affirmative procedure is being used. Parliament can either say yes or no, and the government might give Parliament a second chance to say yes or no to new proposals if it feels like it. The end result if this bill becomes law is clear. The government will tie MPs up with some unimportant Acts of Parliament whilst pushing the meat of what it wants to do via statutory instruments. Parliament will become even more of a rubber-stamp than now, easily manipulated by the government, whilst anyone wishing to oppose the statutory instruments(SIs) will have their work cut out because they’ll only get a couple of months at most from the publication of the SI to getting the SI stopped, and that’s assuming they hear about it. Already thousands of SIs are passed each year with very low visibility and scrutiny (it’s rare for an SI to even be mentioned in any but the most obscure parts of the media). This government intends to enable just about any legislation to be passed in similar circumstances and in doing so will nominate the resolution procedure to use (negative, affirmative or super affirmative) in each case. Given its ability to manipulate Parliament, this will mean determining which procedure is used in the vast bulk of cases. It will be rule by decree with a Parliamentary facade.